Michael Franti & Spearhead will headline the first Jam Sandwich festival on Saturday at Mayo Island. Are you ready to get your “jam” on? Jam Sandwich, a new music festival in town, is bringing a full day of music, food and drinks to Mayo Island on Saturday, July 1. 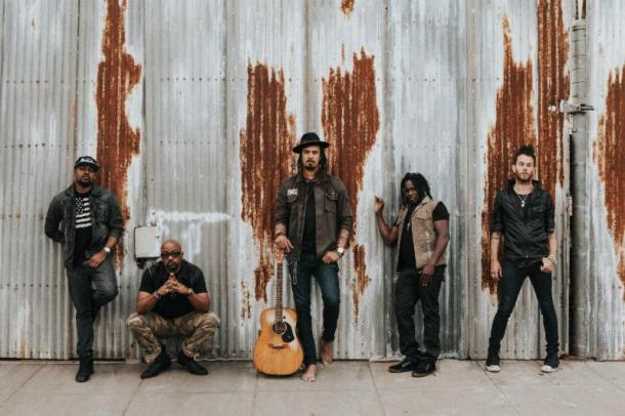 Hip-hop reggae star Michael Franti is headlining the festival, along with his band, Spearhead. The 51-year-old California-born musician is on his “Love Out Loud” tour. And he’s no stranger to Richmond. “I love Richmond, especially in the summer. You never know what you’re going to get,” Franti said by phone. “Summertime Is In Our Hands” speaks to that emotion of grabbing hold of the moment and not letting go. When he was a kid, Franti spent his summers fishing with his dad and swimming with his brothers. “When you go through times that are rough, it’s important to have those memories,” Franti said. For Franti, his wishes for the season involve a focus on family. The “summertime love” vibe also ties into Franti’s nonprofit organization, Do It for the Love. Inspired by his son’s struggle, Franti and his wife launched Do It for the Love (www.doitforthe love.org), which brings those with a serious medical condition to see a live concert by their favorite performer in North America. Do It for the Love has connected fans to Ed Sheeran, Stevie Wonder and Celine Dion. The jam here will also include indie-prog rock band Moon Taxi, pop singer Chelsea Shag, plus local favorites Rikki Shay, Dalton Dash and Dead Frog. There will be food from Dank Eats, Ellwood Thompson’s Local Market, King of Pops, Blue Ridge Bucha and Goatocado. Brown Distributing Co. will be on site with adult beverages from Strangeways Brewing, Bold Rock Cider and a specialty cocktail from Tito’s Handmade Vodka. The event is organized by Three One One Productions, which hosts many festivals in town, such as the Carytown Watermelon Festival. Three One One’s Mike Murphy said they were looking to host a new kind of music festival and that Mayo Island was the perfect spot.